Commercial organizations across a wide range of sectors now recognize that retaining key staff is important for better operational efficiency as well as a healthier bottom line for the company. For organizations competing to attract and retain talent, a commitment to staff welfare is a key topic today. Gavan Murphy, Director of Marketing EMEA at Globalstar, explained that this topic of conversation is underpinned by the drive to ensure that workers, wherever their business requires them to be located, have access to trustworthy safety devices. Ensuring the welfare of skilled and professional crew is, now more than ever, extremely important. Even in today’s highly competitive marketplace, when investment in technology—and, indeed, any operational spend—is under ever closer scrutiny. More and more commercial organizations perceive the need to do more to promote crew safety. These companies have also awoken to the business benefits of crew safety as being a crucial component of their operations. Whether involved in heavy construction, public utilities, natural resource management, commercial fishing, supporting oil and gas operations in remote regions, or developing alternative sources of energy, improving working conditions and promoting welfare for crew is essential. There is also the added urgency of safeguarding staff who work in potentially hazardous environments. This recognition may have been a long time in coming, but today’s businesses across the globe take the view that retaining the most expert, knowledgeable staff is simply good business. Highly experienced team members often perform duties more rapidly than more junior employees and they have more know-how upon which to draw when faced with challenging situations—including crises events. Being able to rely on highly experienced teams also encourages better overall efficiency when carrying out specialist operations or even when providing ongoing maintenance. Retaining these key employees is now seen as an important human resources issue. Providing remote working professionals with the communications capabilities to help improve their safety surely goes a long way to achieving these business goals. Enabling reliable, resilient tracking and instant connectivity with colleagues and security teams helps to ensure optimum resource allocation as well as alleviating stress for workers who are carrying out complex and/or dangerous tasks. To add to the safety imperative, access by the emergency services in remote, mountainous areas, in deserts or at sea, often requires specialist support such as an air ambulance. All told, wherever they are, crew members require a communications system they can trust, rain or shine, 24/7, and one which enables an always-on link with colleagues. When there’s an emergency, lone, remote and at-risk workers need to know they can rapidly summon rescue and that first responders can speedily pinpoint their location. A satellite-based tracking and communications solution offers the only viable communications lifeline. 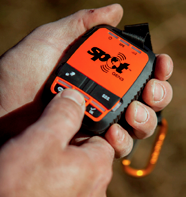 Since launching in 2007, Globalstar’s SPOT family of devices have been providing enhanced safety for an ever growing variety of organizations. For instance, any major construction project comes with operational hazards. However, if a company is involved in wind energy production, fire is a particularly acute risk. Additionally, when these crews are deployed in regions where there may be political instability, the need to provide staff with a communications and safety lifeline becomes even more crucial. This is especially true when operating in remote regions, which are hard to access and/or with minimal communications infrastructure. Energy giant General Electric (GE) has recently started to equip their wind energy employees in Pakistan and Morocco with SPOT Gen3 handheld GPS messengers, while further SPOT deployments in new markets across Europe, the Middle East and Africa are also projected. GE plans to track and protect workers as they install, operate and maintain onshore wind power installations in emerging markets. Supplied by Globalstar’s value added reseller, Crambo Wireless S.A., GE will also furnish SPOT units to wind power workers in Saudi Arabia, Egypt, Ghana, Kenya, and elsewhere in Africa, as well as Central Europe and the Balkans. By mid-2017, GE personnel working at approximately 70 wind farms in EMEA and Asia are expected to have enhanced safety—thanks to SPOT. 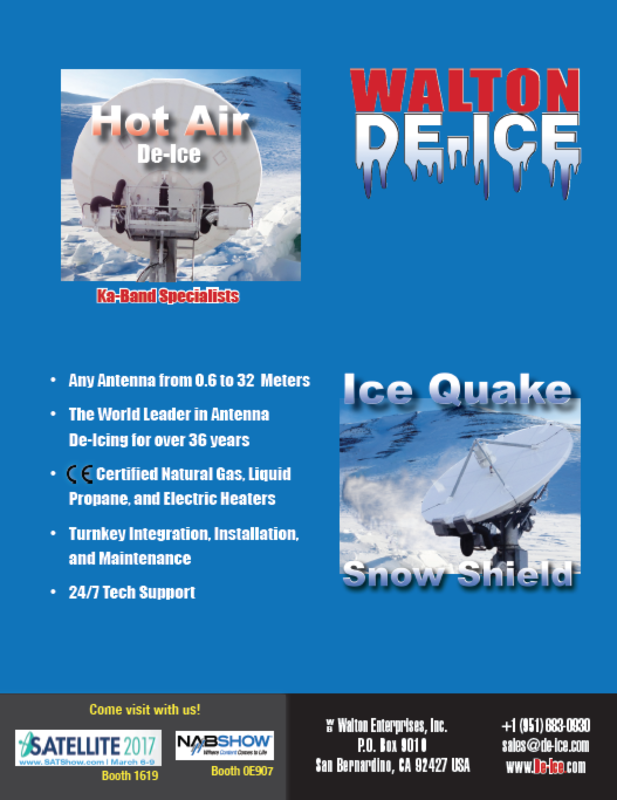 GE did consider a number of alternative technologies, including GSM, parabolic antennas and radio repeaters, before deciding on the SPOT Gen3 product. In the event of an emergency, SPOT instantly sends the user’s GPS co-ordinates to alert first responders through the GEOS International Emergency Response Coordination Center (IERCC). Following a period of extensive testing, GE determined that SPOT, the Globalstar network and the IERCC had performed flawlessly. 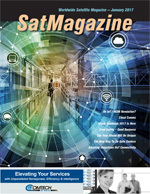 Companies in the oil and gas space were among the first to acknowledge the diverse capabilities of satellite technology, so it’s not surprising that as exploration and production activities accelerate, the interest in satellite solutions among oil and gas providers, as well as those many companies which support them, has again surged. Tunisian civil works contractor, Kilani Enterprise for Public Works, has been using Globalstar’s SPOT devices since 2013 as their only means of safeguarding staff who are carrying out operations in southern Tunisia’s vast desert, including operations that support Africa’s oil industry. “The operational challenges posed by inadequate GSM coverage in the regions where oil is extracted are compounded by remote, inhospitable terrain, and additional security risks,” said Karim Chagra, Health Safety Security Environment (HSSE) Manager with Kilani Enterprise for Public Works. Such is the company’s trust in SPOT and Globalstar that, more recently, as local exploration and production activities expanded, Kilani deployed a new, complementary, Globalstar-based tracking and safety solution to support all staff. UK-based specialist wireless solutions provider Lone Worker Solutions kicked off 2016 by announcing a five year contract to provide remote working staff protection for British regional water provider Northumbrian Water Group (NWG). After conducting a rigorous competitive selection process involving 46 technology providers, NWG chose LWS’s proprietary LoneWorker Manager platform, a solution centered around SPOT to protect all 1,500 of their staff. Employees carrying out their duties in remote regions in the north of England where mobile or 4G coverage is poor are now equipped with SPOT Gen3 units. If a NWG staff member is faced with an emergency, with a single touch of SPOT’s SOS button, an alert is sent to an accredited, state-of-the-art, 24-hour Alarm Receiving Centre (ARC), as well as to NWG’s in-house employee support hub for prompt handling. As 2016 drew to a close, Lone Worker Solutions was announced as the winner in the category of ‘Best Deployment of Lone Worker Technology’ in the esteemed 2016 UK Security and Fire Excellence Awards. Skilled professionals who work in remote and potentially hazardous environments have begun to expect better, highly reliable safety equipment while performing their jobs, especially when operating in remote and dangerous environments. Globalstar is proud that the firm’s SPOT system, now with some 300,000 devices deployed, has to date initiated more than 4,800 rescues across the globe. Furthermore, in many of these situations, multiple lives were saved. In consideration of the critical roles which solo workers and remote crews perform every day, whether finding new sources of energy or harvesting the bounty of the ocean to put food on dinner tables, organizations everywhere increasingly hold the view that these valued employees truly deserve state-of-the-art technology to help them work smarter and safer. Based at Globalstar’s European HQ in Dublin, Gavan is responsible for the development and implementation of Globalstar’s marketing strategy across the European, Middle Eastern and African regions. He spearheads the marketing of Globalstar’s consumer products, including the SPOT tracking solutions portfolio, as well as the B2B marketing of voice & data solutions for a range of vertical sectors including maritime, energy, safety and security, commercial fishing and shipping, construction and heavy industry and the burgeoning M2M sector. Prior to joining Globalstar in 2008, Gavan worked with leading global mobile provider Vodafone as Channel Development and Category Manager.